Further to our posting 14th January the AA has collated the views of those members and individuals who have written to us and sent the following response to the Taylor Review. At this point in time we are unsure what opportunity there will be to get involved in the drafting /revision of the TPO material but will keep you informed via the Web. We have also requested an early indication as to whether the Blue Book is to be continued to enable us consider options available. 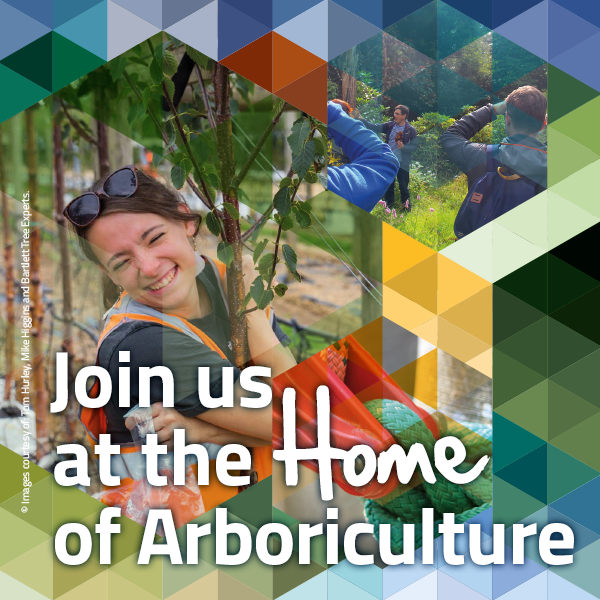 The Arboricultural Association represents those engaged in arboriculture – a field that focuses on the planting, maintenance and management of trees that contribute to local amenity, and is the largest amenity tree care body in the UK. Our members include contractors, consultants and council tree officers. We therefore have an interest in ensuring that tree preservation orders (TPOs) are made and administered appropriately and that the processes for obtaining consent, using exceptions to the regulations and enforcing them are clear and accessible. We have the following comments on the recommendations made by Lord Taylor’s Review Group. Q1. Do you agree with the recommendations of the Review Group overall? Yes. The current suite of planning guidance is complex, much is not up-to-date and does not always present a consistent message. The suite, as well as the individual documents, would benefit from a detailed review along the lines recommended. Yes. It is important that practitioners and the general public have easy access to clear and concise practice guidance. Easily navigable web-based information should be available and a dedicated “portal” to this information would be welcomed. Maintaining the currency of this resource is essential and will be much easier and efficient in web-based documents than in the historic hard copy. Possibly. It is critical that there is clearly defined ownership of and responsibility for Government Planning Practice Guidance to make sure that this guidance is managed robustly. We do not have strong views as to whether that should sit with the Chief Planner in DCLG or elsewhere. No. The information will be a natural product of keeping the service up to date and as such should be disseminated on the “portal” as well as to those who sign up to regular updates. This would be similar to the Planning Portal system where regular “Planning Portal News” emails are sent to those who request them, free of charge. Yes. One point of access to the suite of new guidance would be preferred e.g. in the form of a “portal”. It is critical that access to this portal is obvious and easy to navigate, particularly to infrequent users e.g. the general public. Yes, but the timescales seem ambitious. Revision of the Blue Book is overdue. Users of this guidance, including all our members and their clients, would appreciate a speedy review and production of an updated version. Document 2 has served its purpose and could be cancelled. Document 98 has long been considered for review. A third of this Circular (Sections VI-X) was cancelled in 1997 when the matters they contained were included in the Blue Book. Other matters relate to policies of Defra, DFT and FC. We would have no objection to Circular 36/78 being cancelled. Document 4 should be cancelled and its content transferred to a revised Blue Book. Document 23 Tree Preservation Orders: A Guide to the Law and Good Practice (the Blue Book) is the most important reference for the making and administration of tree preservation orders (TPOs). The Blue Book was first published in 1994 to provide more informative text than previous documents (including DoE Circular 36/78 Trees and Forestry – see above). It was pleasing to see that Lord Taylor’s report recognised that guidance (including that for tree preservation orders) “can be essential and adds real value in terms of planning practice”1. In view of the day-to-day application of this guidance we suggest that it be moved to Annex C so that it is kept until replaced by new guidance. The guidance that the Blue Book contains is aimed at supporting good administrative practice in councils and the preface recognises that it “has proved to be a helpful source of information for others interested in the TPO system”. The Blue Book seeks to clarify the ground rul”s (e.g. in the assessment of amenity) and provide clarity and consistency of approach. Council tree officers, and others responsible for TPOs, use the Blue Book on a regular basis. We are aware that many councils have reduced staff numbers, including the number of specialist tree officers. Untrained and part-time officers are taking on the responsibility for managing the TPO system and rely heavily on the guidance that the Blue Book provides. Consultants and contractors also refer to this guidance when advising clients, who benefit from the transparency and fairness it promotes – core values behind the new streamlined and consolidated Town & Country Planning (Tree Preservation)(England) Regulations 2012. Inspectors and lawyers frequently refer to the guidance contained in the Blue Book when determining appeals against council decisions and Court cases. We consider the Blue Book to be focused on the administration of the tree protection system (TPOs and conservation areas) and as such it has a place in providing clear, coherent and essential information. It is not flawed by the use of exemplars. But it is out of date and needs to reflect new legislation, particularly the Town & Country Planning (Tree Preservation)(England) Regulations 2012. We are keen to see the Blue Book continued and recognise the value of an improved and focused suite of planning practice guidance. However, we caution against extreme “streamlined consolidation”. We would be willing to assist in any way we can to help achieve this end. Document 53 is a well-respected leaflet providing clear and straightforward information (as FAQs) regarding the protection of important trees, applications for consent, exemptions and enforcement. It is targeted at tree owners, neighbours and local community groups and is usually the initial source found for information on protected trees. It is currently available on line only and may be reproduced by councils and others. We consider that this leaflet has great value in promoting understanding of the need to protect trees of value to local communities and should be continued. Q9. Are there any further points you would like to make in response to the Review Group’s Report? Do you have additional ideas to improve and/or streamline planning practice guidance? The Arboricultural Association is willing to assist in any way we can to ensure that proportionate and focused guidance is provided to support the protection of amenity trees.